Travel budget is one of those things people tend to think first when they plan their journeys. It is good to know what you expect from planned travel and prepare before you go. While some people like to assign a bigger figure and don’t like to keep on tight budget, most of us like to find reliable info about prices and predict travel expenses. Please note that we calculated our budget as a couple and we figured out it’s cheaper to travel this way. You can save money traveling this way on accommodation, sometimes transportation and even meals! All figures are in Euros. We used HomeBudget app to track our expenses, so you will find real carefully tracked numbers. You should also know this guide is for long term travelers. As when people travel for a short period they tend to spend more as they try to squeeze more in their schedule. This is based on our own and friends experience. Before this trip in SE Asia I searched the net to estimate an accurate travel budget, but I couldn’t find it answered anywhere. It became clear after two months of traveling and remained almost the same the entire trip. Plan your daily budget 50-60 € for two people, which is from 1500 € to 1800 € per month. Be aware that the accommodation price for one person will be the same in a separate room as for a couple, unless you’ll sleep in a dorm and that way cut down the sum. 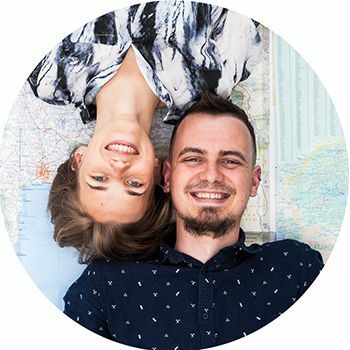 We know some people say you can live on 50 $ a day as a couple (which equals 43 €), but it’s not that cheap as it was in 2009…This article was written based on the figures from early 2017. Here we give you a table of our expenses from our app. The biggest figures were in accommodation and food section, nevertheless always think about the flights as it varies every month depending how far you’ll travel that exact month. We expanded some sections, if you wondered what they mean. Departmental went for clothing as we traveled for quite long time and we needed new things once in a while. Entertainment always went for all the entrance fees. As here for example for all the temples. And Insurance/ Medical section was for some vitamins we bought on our way and a mosquito spray. If you have been with us for a while, you know how food is important for us. We like to eat healthy and nutritious food, and we can’t let us cheat on oily Pad Thai just because it’s cheap! So if you aren’t as picky as we are, you could cut down the sum on this piece of pie, otherwise you won’t spend less to eat 3 proper meals for two people and have snacks on the road. Actually we thought we would spend load of money on water. As you feel thirsty every second in Asia! But we found out water is relatively cheap, but it doesn’t contain any minerals and you have to buy it at the store and mix it into your water. So be ready to spend money on this or you can take it from your home country together with other supplements. This part always depends on your comfort level. But if you want to sleep in a separate room without anything crawling inside your walls you’re searching for a stay between 15 to 25. You’ll use some sort of transportation at your trip. We thought that the cheapest way to travel is to use public transport. But it’s relatively slow and you can spend the sum difference on food and place to sleep. Once we estimated it’s the same price to fligh from Northern Thailand to Bangkok than to travel for 6 days with a bus and pay for accommodation and food! If you are willing to stay in one place for a longer period of time, you still need to rent a motorbike. It cost the same to rent one bike for two people than two bicycles and you couldn’t go far with it. We used to take bicycles as much as we could as in Ayutthaya and Sukhothai as it’s more environmentally friendly. Fuel doesn’t cost much and you’ll spend cents on it! Even when you’ll drive a hundred kilometres. You can’t avoid this part. Of course you can travel through mainland, but in some parts of the trip you’ll have to take a flight. Funny fact for us was that we could cross the border by land to Laos, but we could have take a fly with it! So even if you’re a land person always consider other options as flight or even boats.